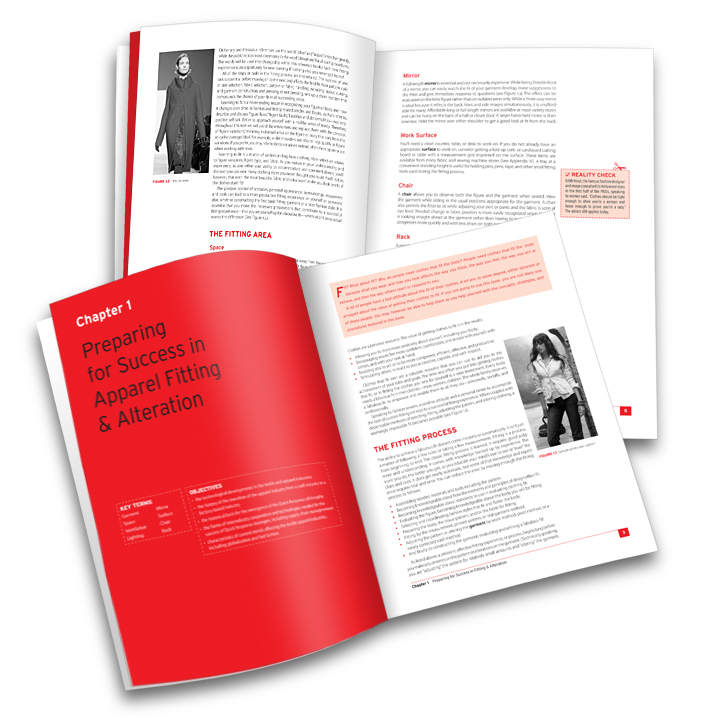 Interior design and layout of Fitting and Pattern Alteration: A Multi-Method Approach (2nd Edition), a 496 page textbook for teaching students how to recognize, evaluate, and correctly fit for over 100 figure variations. Book development by Focus Strategic Communications Inc. Published by Fairchild Books.